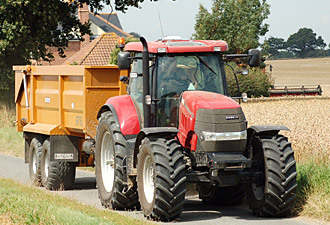 We are major agricultural equipment suppliers in East Anglia and South East England representing some of the best known and well respected names in the industry. We began as blacksmiths and agricultural equipment suppliers in 1898 and have grown considerably into the multi-franchised operation we are today. We are part of the UK’s largest agricultural machinery dealer and the company is still family owned and run. As a large agricultural machinery dealer we are able to offer all the services and expertise that farmers large and small require. Our sales staff offer good friendly advice and our philosophy that ‘You can’t sell it if you can’t drive it’ means that our staff offer the kind of practical advice that you would expect of a good agricultural machinery dealer. Ernest Doe Power has a gained a reputation over the years that farmers can trust. But we are more than agricultural equipment suppliers – we also provide the service and parts support needed to keep farmers working productively in the field. 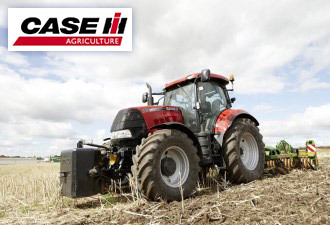 Our major franchise is Case IH Agriculture and we are their largest UK distributor. 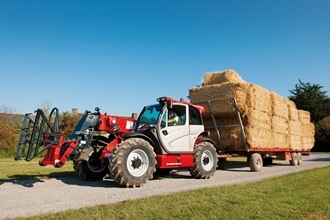 We were established as a Case IH dealer in 2001 but we had been selling Case tractors successfully in the 1930s until the Second World War intervened and the relationship became untenable. Now we work very closely with Case IH and we are proud to be selling such a range of well thought out, well-engineered products. 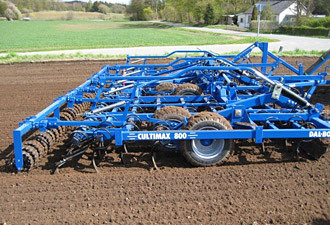 Dal-Bo manufactures a wide range of quality tillage products including hydraulic folding land rolls, stubble and seedbed cultivators, grassland rolls and maxicut knife roller. 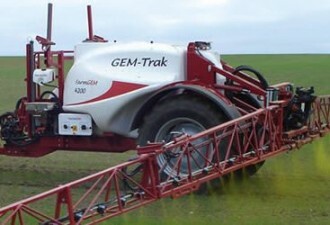 Farm Gem offers a range of crop sprayers including mounted, trailed, de-mount, and self-propelled. All FarmGem machines are manufactured to UK design and specification, and as with the former Gem sprayer range, high quality, strength and ease of use, are the priority. 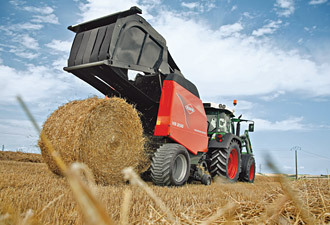 Long established, Kuhn produces over 60,000 machines a year. 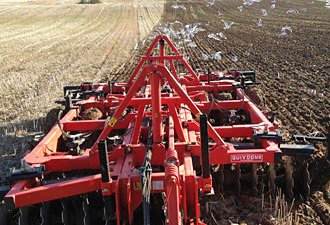 The product range is wide, from ploughs to drills, hay makers to balers, sprayers to spreaders – and more. 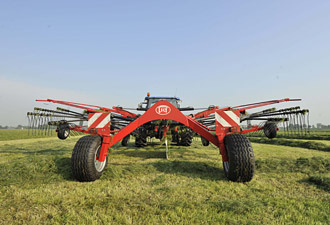 Lely is a big name in grass and forage harvesting. Products include the Splendimo range of mowers, Stabilo tedders, Hibiscus rakes, Lely Welger balers, Attis wrappers and the Tigo loader wagon. Hardi was established in Denmark in 1957 and now supplies a range of self-propelled, trailed, lift-mounted sprayers and mistblowers. 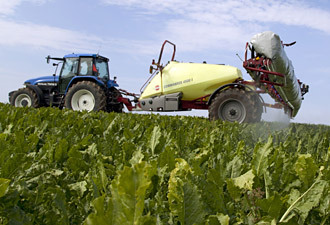 In 2007 Hardi became part of Exel, a world leader in spraying technology. Quivogne markets a wide range of agricultural equipment including primary and secondary cultivation machines – ranging from 1m to 12m working widths, rolls – ranging from 4.30m to 12.30m working widths with and without levelling boards, front mounted crumblers and presses with the options of levelling boards or leading tines – ranging from 1.50m to 6.00m working widths, and various models of heavy duty flail mowers and toppers – ranging from 1.20m to 6.00m working widths. Richard Western builds top quality farm trailers, grain chasers and transfer wagons from their Framlingham, Suffolk base. Their highly acclaimed Suffolk trailers are heavy duty monocoque tipping trailers and are available in 10, 11, 12, 14, 16, 18, and 20 tonne models. 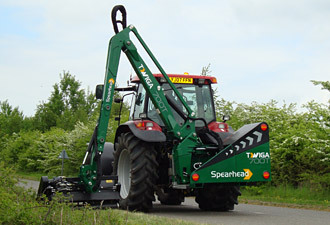 British manufacturer Spearhead offers wide area rotary mowers and specialist tractor mounted machinery for the maintenance of grass and the management of crop stubble residues.